British billionaire Richard Branson opened the world's first-ever commercial spaceport in the New Mexico desert on 17-10-2011. This is the new home for his company, Virgin Galactic as well. 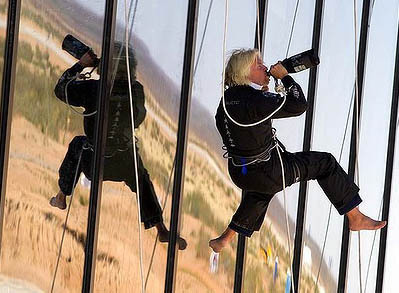 The eccentric businessman, with usual flair, sported a black jacket and waves of hair flying as he inaugurated the building by breaking a champagne bottle against a hanger building, while rappelling down the side of it. 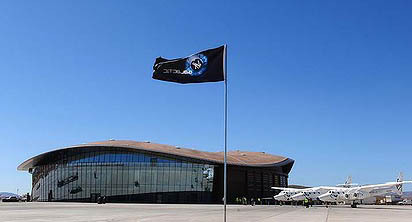 Spaceport America, will serve as the operating hub for Virgin Galactic and is expected to house up to two WhiteKnightTwos and five SpaceShipTwos, in addition to all of Virgin's astronaut preparation facilities and mission control. 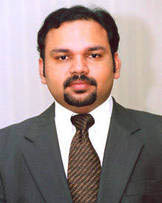 About 150 people already booked for travel on the first flights to orbit attended the event, including Santhosh George Kulangara, Kottayam. Virgin Galactic head George Whitesides, commercial director Stephen Attenborough, and famous US astronaut-and second human being to step on the moon-Buzz Aldrin were present at the ocassion. 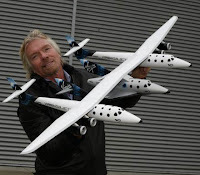 In the meantime, Virgin has sold some 430 tickets for space travel -- at $200,000. A number of private companies are rushing to fill the gap left by NASA, which ended its 30-year shuttle program in July with the completion of the final Atlantis mission to the International Space Station(ISS).